The ocean dwelling Dungeness crab is one of my most favorite things to eat. My family traditionally cooks it as a Thai soup dish with lemongrass, garlic, thai peppers, and a spicy paste called tom yum; both the spiciness and warmth are perfect for a cold winters day dinner. As far as I can remember we've always bought Dungeness crab at the market but have caught them using pots off a pier in Crescent City a long time ago. All I remember during the trip was that it was cold, dark, and miserable. It's been over twenty years since I've caught a fresh Dungeness crab and with so many visits to the beach this year I've final caught the itch to try and learn how to catch a few keeper crabs for myself. Getting the necessary gear for crabbing took a bit of research and in the end I settled for slightly cheap but effective. I've never handled such a huge rod and reel before so it was going to be interesting learning how to cast. 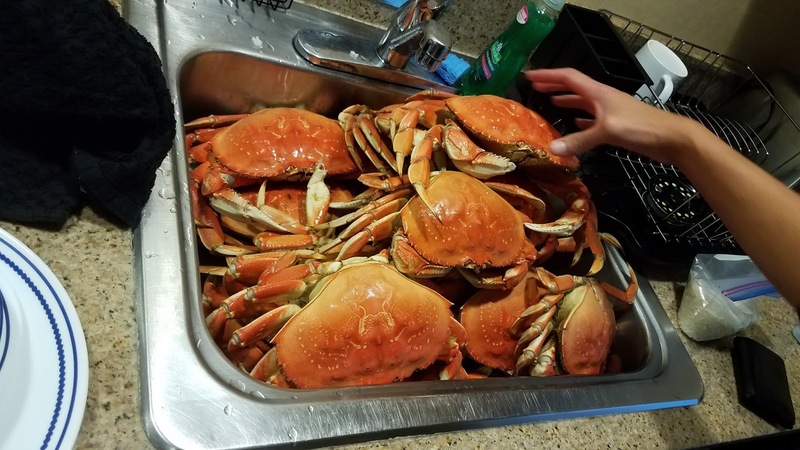 Dungeness crab is the most popular species of crab in the Pacific coast. From what I've gathered it doesn't seem like they are too difficult to snare for however like all crabs they are considered scavengers that will eat anything they can get their claws on. With so many options on what kind of bait to use I had to do some extra research to figure out which worked the best. Squid and chicken were the most trending baits that I found online so I came prepared with both for the trip. Fort Bragg is a nice small touristy town with plenty of things to do. 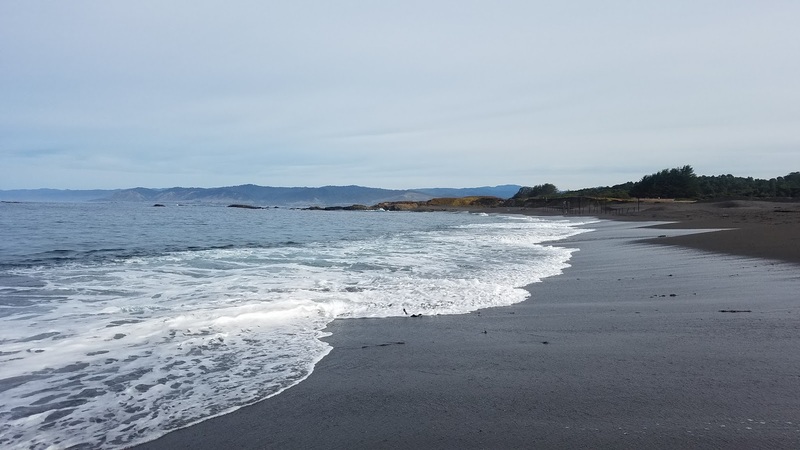 The geographic location of Fort Bragg being next to the Mendocino Mountains helps make it less prone to your typical rainy north coast winter weather. This was the missus and I's mini-moon after getting married in October. 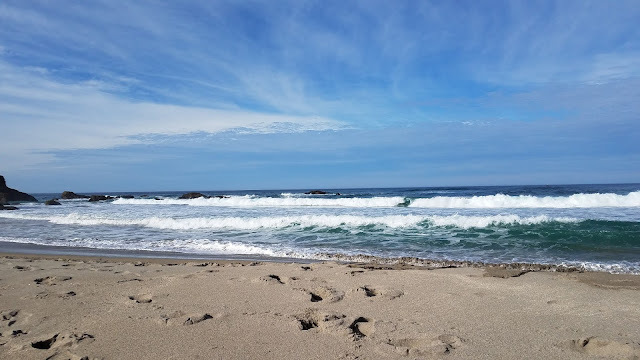 Of all our visits to Fort Bragg it seems like fall has been the best time of year for both the weather and the crowds. 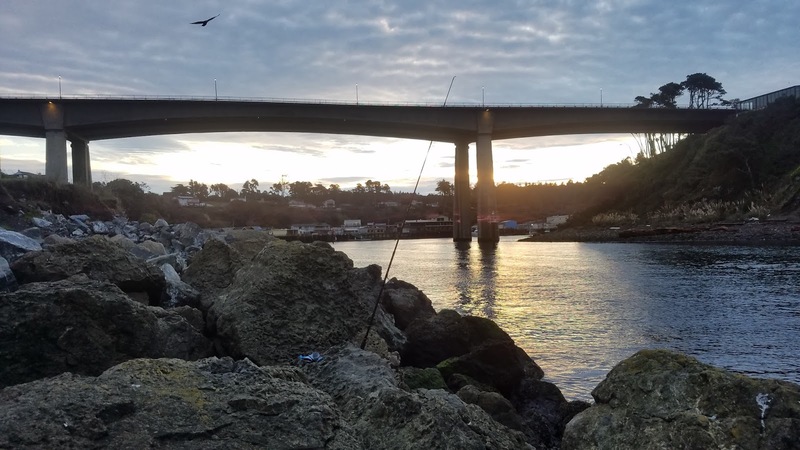 The plan was to stay a few nights enjoy the beach, catch some fish, snare some crab, and enjoy our get-away. The missus and I also booked a charter trip with Telstar as well just to try it out and limit out on some crab. 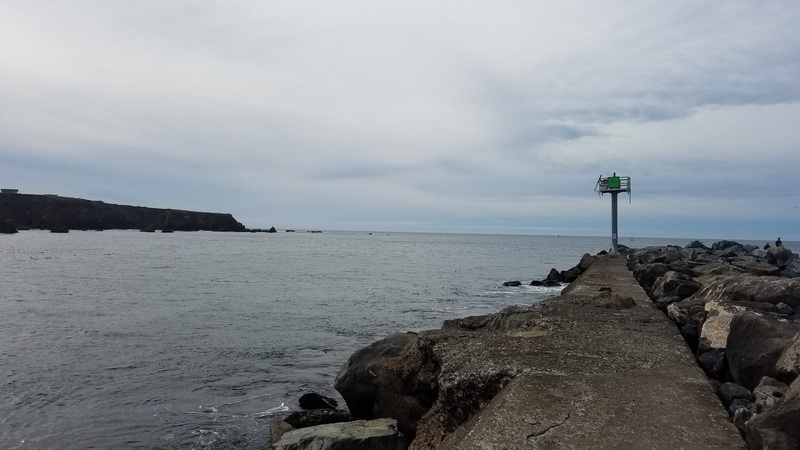 Our first attempt at crab snaring was off the jetty of Noyo Harbor. 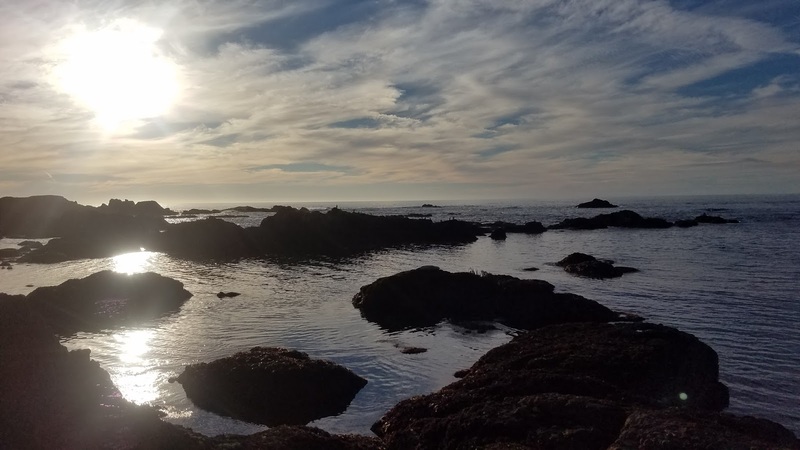 We were out on the rocks for a few hours however only the first hour was productive. From what we observed it went from a few being caught to none. I want to say we snagged a few crabs our first few soaks but we didn't really know how to bring them in. It wasn't until it was too late that we learned to not swing the rod but just reel them in with tension. I tried again in the morning at first light and it made no difference, no one was home. We weren't able to snare any crabs this trip but made up for it on our charter. It doesn't look like we'll need to go snaring any time soon but I'm hyped to try it again a little closer to home. The surf fishing was a bit tough this trip but only because of the timing. During our outings we fished both the peak of high and low tide which were unproductive. I didn't get into any good fish until the last day of the trip during a four hour period before and after high tide. 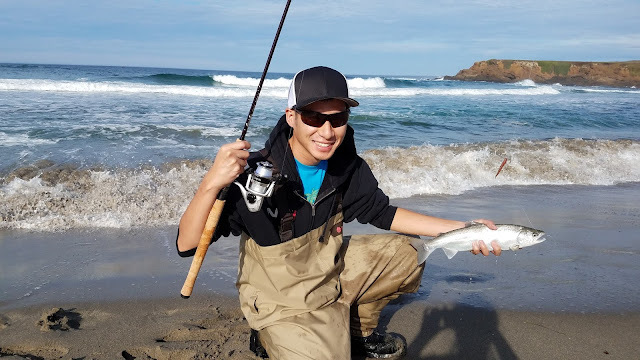 A 6WT fly rod is usually my rod of choice for the surf but I recently purchased a nice spinning outfit that I wanted to fish with. After using my new spinning gear I found that a light nine foot spinning outfit can be just as fun as a fly rod. I always use a Carolina rig with a Gulp! Saltwater Sandworm as my bait. Location was the key to success on the surf. The trough on the beach I fished looked pretty fishy but the fish were located in a very specific area that an inexperience fishermen would have overlooked. 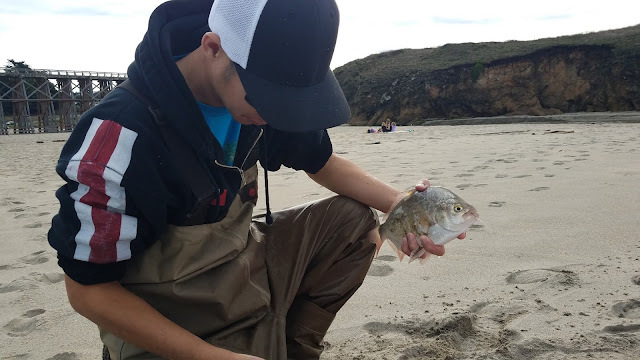 Just in-between the rough surf and calmer shallow water was a hole that held a fish on every cast; it was a feeding frenzy that I hadn't experienced in a long time. Most of the fish I caught were silver surf perch which appeared to be the most predominant fish on this beach however I was lucky enough to hook a hefty red-tail surf perch and a rare endangered coho salmon. 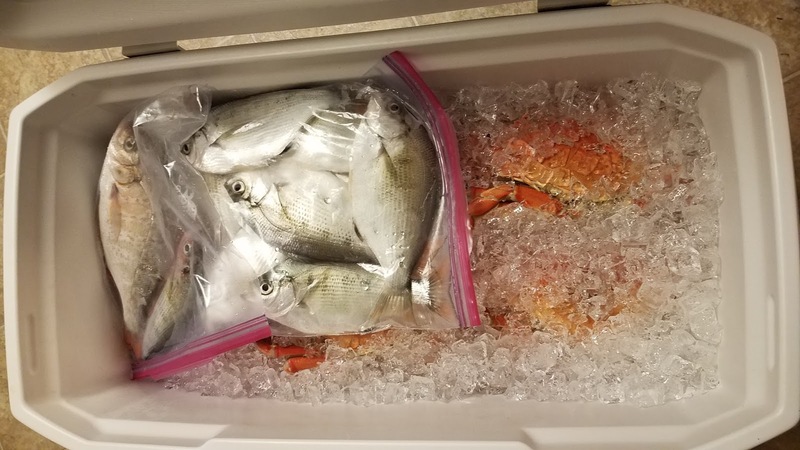 We brought home a bounty of seafood that will be enjoyed by family and friends for the holidays. Oh phew! I thought you caught the crabs on a fly rod too! That would be hilarious and amazing. We've hooked a few crabs using the sandworms off the surf before though. Pretty small ones but they were dungies.